For this nicely, numerically repetitive Bloomsday (which happens to fall on a Thursday, like the original in 1904), I thought I would put together a list of resources for those who (like me) have been putting off the pleasure of reading James Joyce’s Ulysses. Bloomsday, in case you’ve forgotten, is the day on which the events of Ulysses take place – 16 June 1904 – and is named after the protagonist, Leopold Bloom. Like most great works of literature, Ulysses is not a book for delicate or squeamish readers, but I hope that won’t deter you. If you’ve been following me for any length of time, you know that Vladimir Nabokov and Joseph Campbell are two of my greatest literary heroes, and they were both fans of Joyce’s work. Joseph Campbell’s earliest book, A Skeleton Key to Finnegans Wake, was one of the first critical readings of Joyce’s difficult final novel. You might remember that Campbell mentioned his discovery of the “skeleton key” in his lecture on the Tarot (the lecture is numbered in allusion to it: 11.32). I’m not sure I agree with him about Sartre and Miller, but Nabokov’s lectures on Proust and Joyce (in Lectures on Literature) are enlightening. Darkbloom on Bloom. Virginia Woolf and Carl Jung, on the hand, were not fans of Ulysses. A fact I find surprising but hardly reason enough to cloud my own enjoyment. Ulysses audio play – this excellent adaptation of Ulysses is available for free on Archive.org. It’s no easy task to read Ulysses out loud! In this audio play, the various characters in the novel are played by different voice actors, making it easier to distinguish them. Re:Joyce – this is an extremely enjoyable discursive reading of Ulysses. Frank Delaney began the 5-minute weekly podcast on Bloomsday 2010, and he isn’t done yet! Annotated Ulysses – Wikibooks has a page-by-page annotated version of Ulysses which is especially useful because of its copious hyperlinks. Lectures on Literature – Nabokov offers a very engaging summary in his lecture on Ulysses. He even draws a map, in keeping with his view that good readers should be able minutely to visualise the location of the work they’re reading. Wings of Art – Joseph Campbell’s lecture on James Joyce. Ulysses Gramophone: Hear Say Yes in Joyce – Yes, yes! This is a famous deconstructionist lecture by Jacques Derrida. I read and loved it long before I read Ulysses. A Google map of Ulysses Dublin. 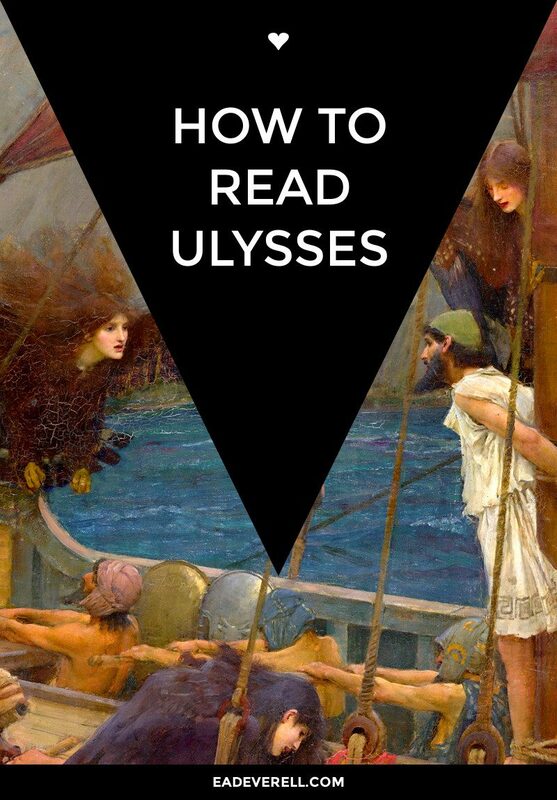 A free ebook of Ulysses is available on Project Gutenberg. Reading the .mobi version on the Kindle app is a great help, because you can highlight words and get instant dictionary definitions, Wikipedia searches, or translations. You may like to begin by reading A Portrait of the Artist as a Young Man. It’s a good introduction to Joyce’s style, and to the character of Stephen Dedalus. As its title suggests, Homer’s Odyssey was an important influence on Ulysses. Lattimore’s was the prescribed translation at my university, and I loved it, though I must admit I’m also partial to T.E. Lawrence’s novelesque translation and Alexander Pope’s (et Al.) translation into heroic couplets, neither of which are very popular nowadays, I fear. Joyce drew heavily on Hamlet, but I always find Shakespeare’s plays are better seen than read. My favourite adaptation of Hamlet is of course the 1996 Kenneth Branagh version. It’s accurate, poignant, and 4 hours long! When should you steal from Joyce? Joyce was a master of symbolism. What makes up your private symbology?